There’s a Ghost in my Bedroom! 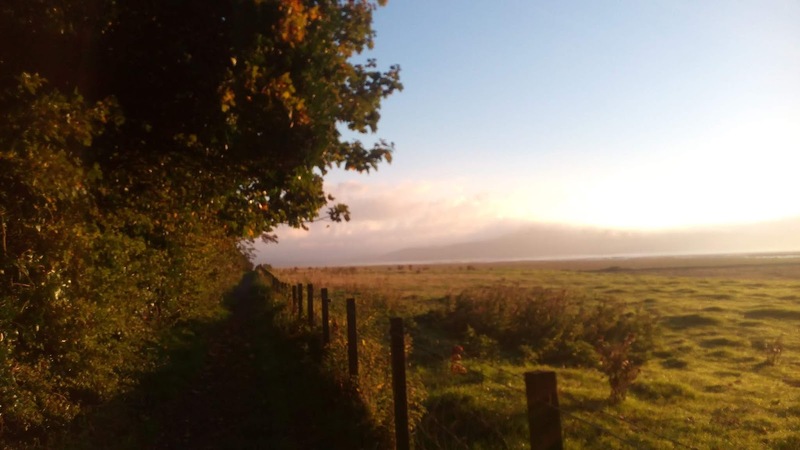 So in this post, instead of Halloween spookiness, I want to talk about something happy and hopeful: a beautiful, isolated little Scottish town that transformed itself and reclaimed its future – with books. 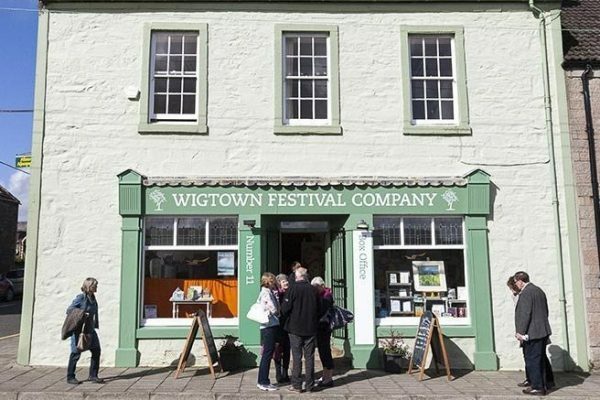 A couple of weeks ago, while I was in the UK to promote Liar’s Candle, I had the delight of speaking at the 20th annual Wigtown Book Festival – a literary festival unlike any other, in the most improbable of spots. The festival volunteers had very kindly offered to pick me up at the Lockerbie train station and drive me into Wigtown. "Oh," I said, "How long is the drive from the station?" Two hours, I was told. Well, one and a half, really, but you’ve got to allow time for sheep. A series of generous volunteer drivers relayed me deep into Dumfries and Galloway, the same region of Scotland that served as the thrilling setting for much of John Buchan’s The Thirty-Nine Steps, sometimes considered one of the first true spy thrillers. The road wound deep into a Landseer-painting Scotland of lochs, luminous green fields and ruined castles (and the odd multimillion-pound boondoggle athletics complex). The sheep, to my disappointment, remained politely in their fields. It was all gorgeous, but you might well wonder: How on earth can there be a thriving ten-day book festival way out in rural Scotland? Isn't it hard enough to get people to come to book events in big cities? How is any of this possible? 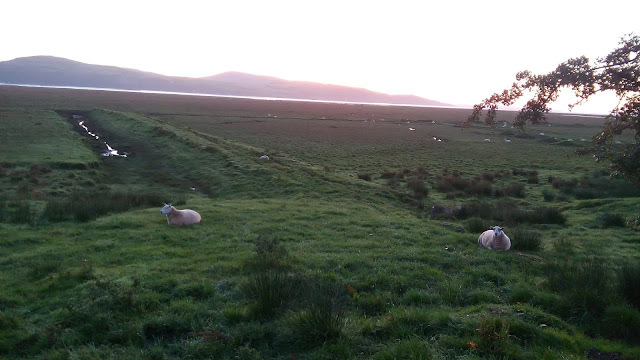 “[Wigtown] had been at its lowest ebb. There were many empty and run-down properties, and the almost derelict County Buildings on the town square were threatened with demolition. Wigtown then had one of the highest levels of unemployment in Scotland..."
Today, that difficult past is only a memory. 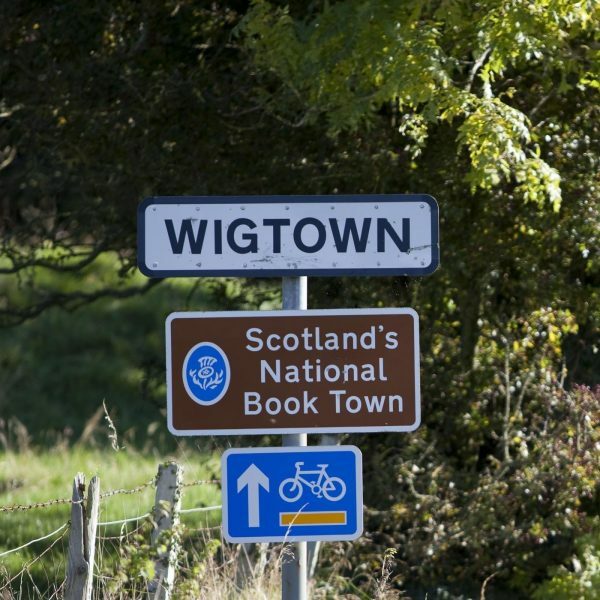 Wigtown (population about 1,000) is thriving, with over a dozen bookshops. I arrived at midday, just in time to hear China expert and bestselling author Paul French talk about his new book, City of Devils, about ruthless Viennese gangsters and drug-smuggling White Russian showgirls in 1930s Shanghai. Paul’s lecture was breathtaking – and so was his audience. Well over a hundred people, in a tiny Scottish village the middle of a weekday, had paid to squeeze into the once-decrepit County Buildings (now gorgeously restored) and listen to a lecture on 1930s China. People had driven four hours from Edinburgh, or flown up from London; some of us had traveled all the way from the U.S. Festival staff and more than 100 local volunteers had worked together to make everything come together. How did this happen? How does a town use books to save itself? 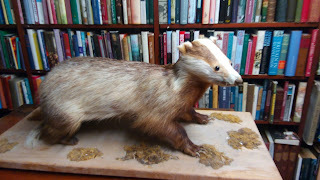 The morning after I arrived, over scrambled eggs at a little B&B in Wigtown, I met the charming Professor Tony Seaton. Back in the ’90s, after a visit to the famous English book festival in Hay-on-Wye, Professor Seaton proposed that a similar “Book Town” should be created in Scotland. His inspiration set in motion a chain of events that lead to Wigtown’s selection as Scotland’s “National Book Town”, the creation of the book festival, and the astonishing transformation of the local economy. One evening, some of the people who helped create the festival gathered onstage in the rescued County Buildings to reminisce about the progress of the past twenty years. Their pride was palpable. I looked at the more than a hundred happy book-lovers around me and thought: This is amazing. They SHOULD be proud! In a time of so much darkness, it’s profoundly encouraging to see a hopeful story like Wigtown’s. What have you seen lately that’s made you feel hopeful? Have you ever seen the real life of a place change because of books? What a great story about the rejuvenation (rebirth if you will) of a town with the creation of successful book festivals and wonderful local bookstores! You describe a lovely journey and authors who enlighten and entertain eager local readers -- sounds like a plan we should encourage in small towns in America as well. Thanks, August, for an uplifting post. I don’t have an example of a town transformed by books, but I wish I did!! But Scotland is a great place for books and authors, very supportive. I was there a few years ago and just loved everything about it. We stopped outside Stirling to see a Cathedral, walked up the street to the oldest library in (GB? Europe? Don’t remember) something where I could have paged through an original edition of Adam Smith’s The Wealth of Nations if I’d had the courage to touch it. What fun! I am now putting this town on my bucket list. I'll know I've made it when I get to go there for a book talk. When I was in the Netherlands, there was a little book village just outside of Winterswijk (where my cousins live) and the border of Germany. It was amazing. I don't know if they have festivals. Will have to ask. Love, love, love this. Leaving time for the sheep! And the power of stories to bring people together. I, too, will add this town to my bucket list. Thanks for the post! I too want to visit this town. My daughter lives on Kauai, in a small town called Hanapepe. At the end of Mainstreet, the largest store in town is Talk Story Bookstore. The store is the westernmost bookstore in the United States and has gained quite a following. Every Friday is Hanapepe Friday Nights and Art Walk, and Talk Story usually hosts a visiting or local author to sign books. They love mysteries and thrillers, and have changed the face of a small town.